Take a trip down Memory Lane through the photos below. 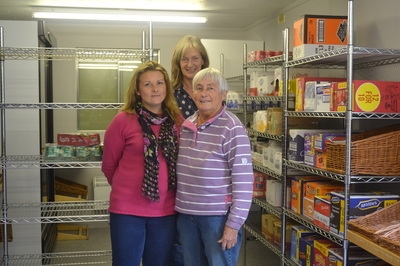 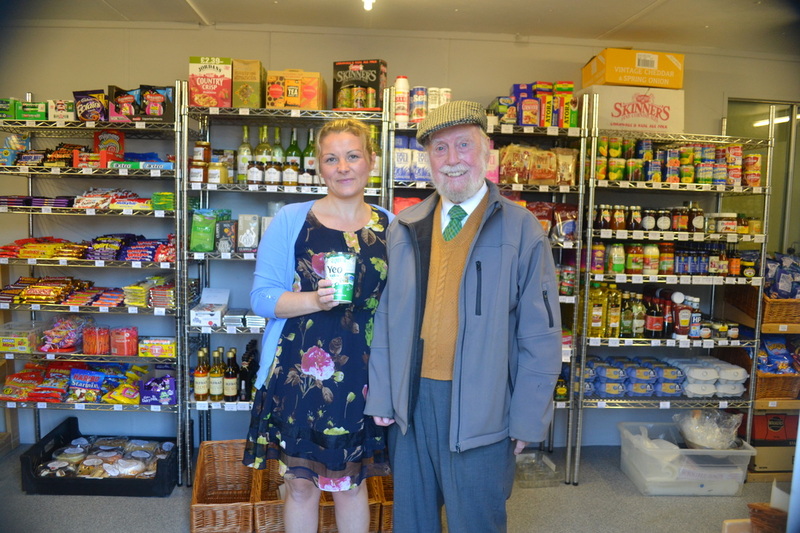 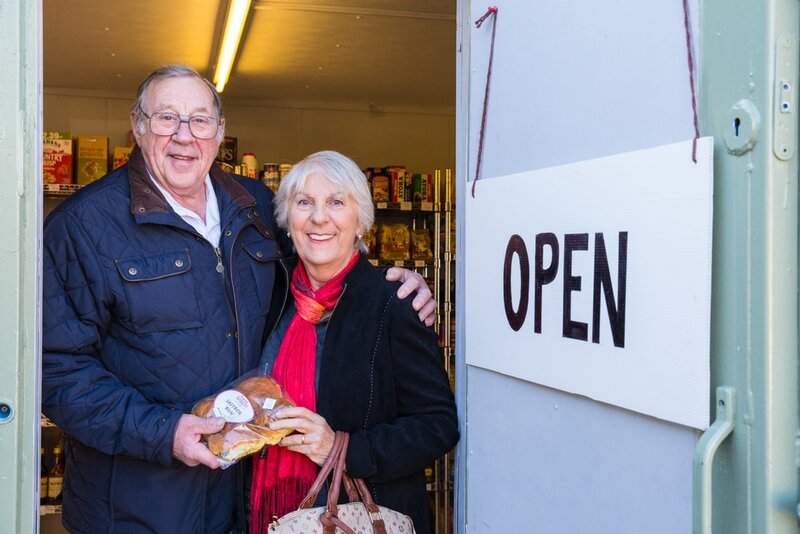 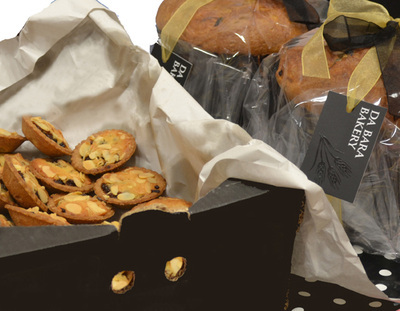 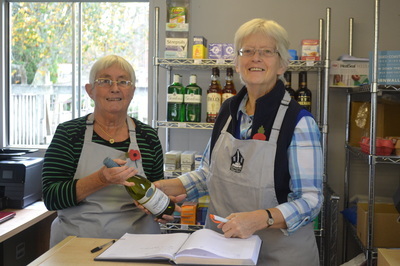 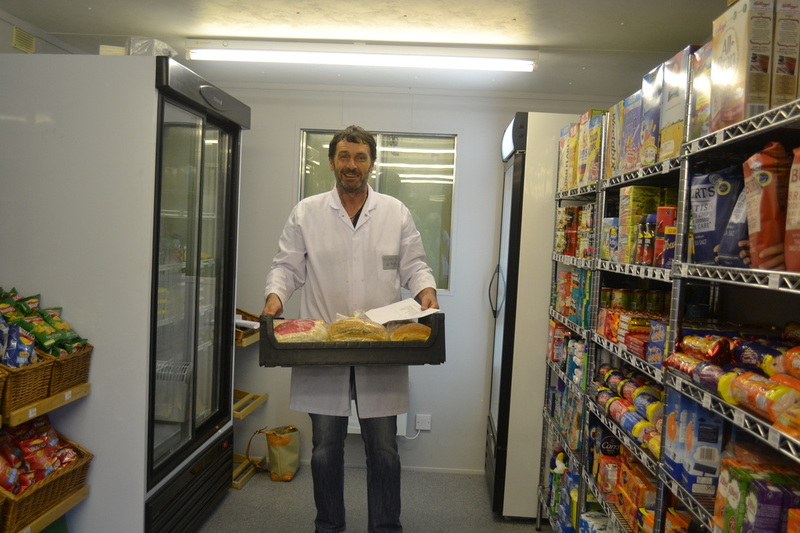 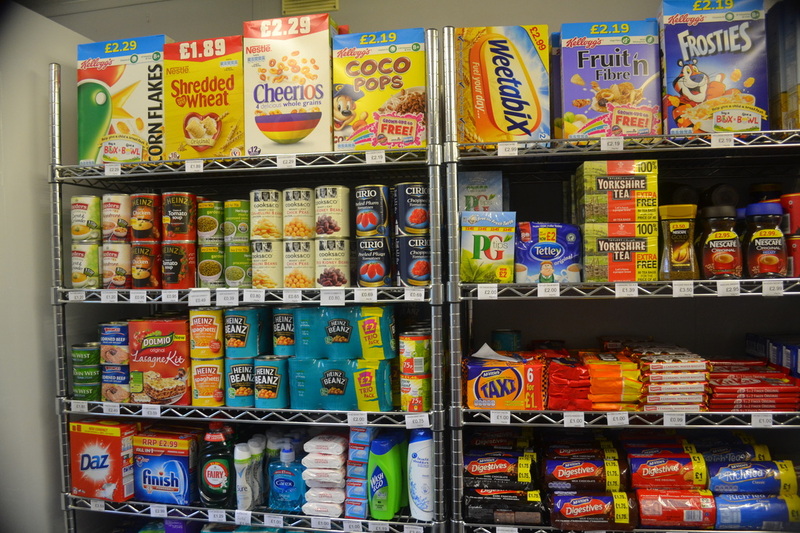 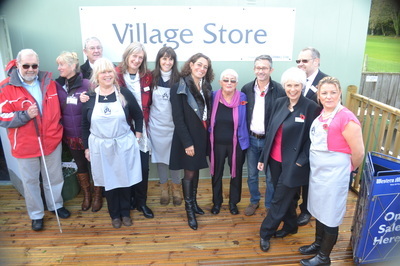 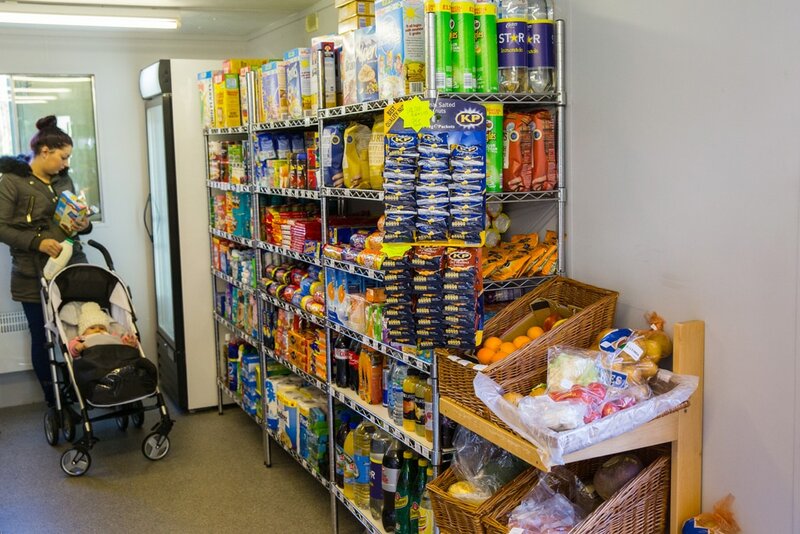 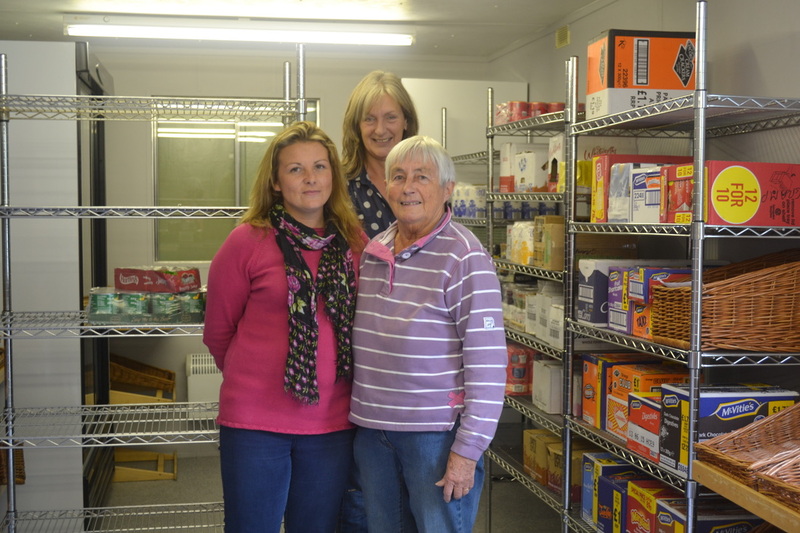 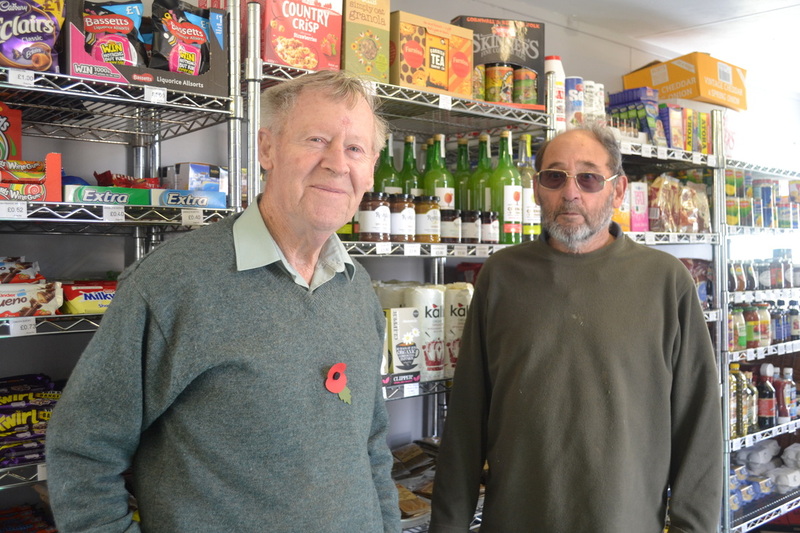 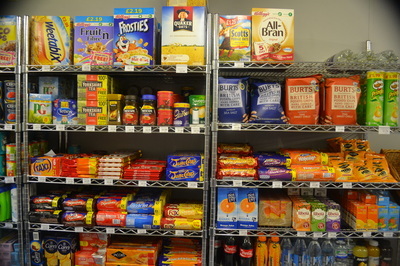 They go right back to when the idea of a community shop was first thought of. 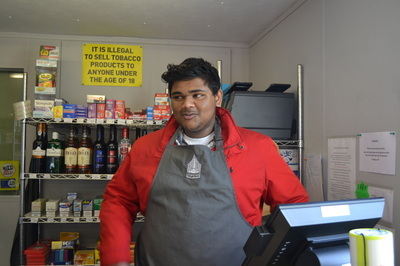 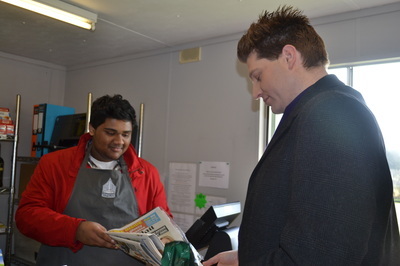 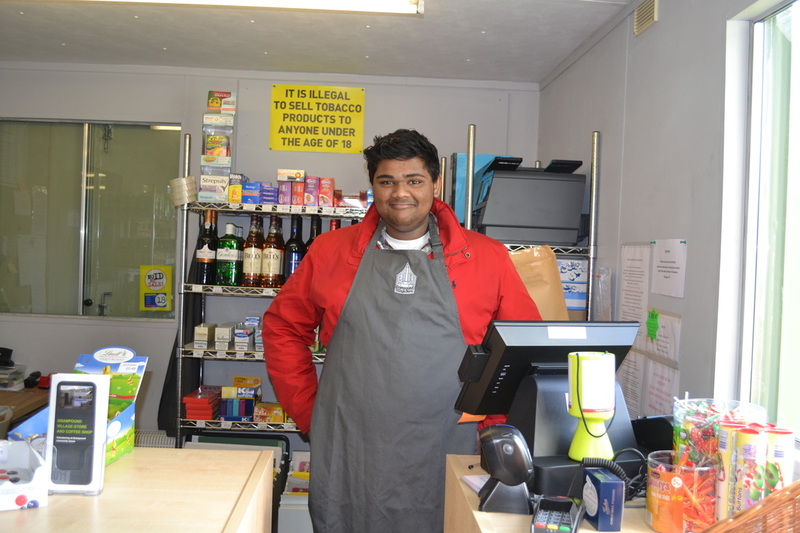 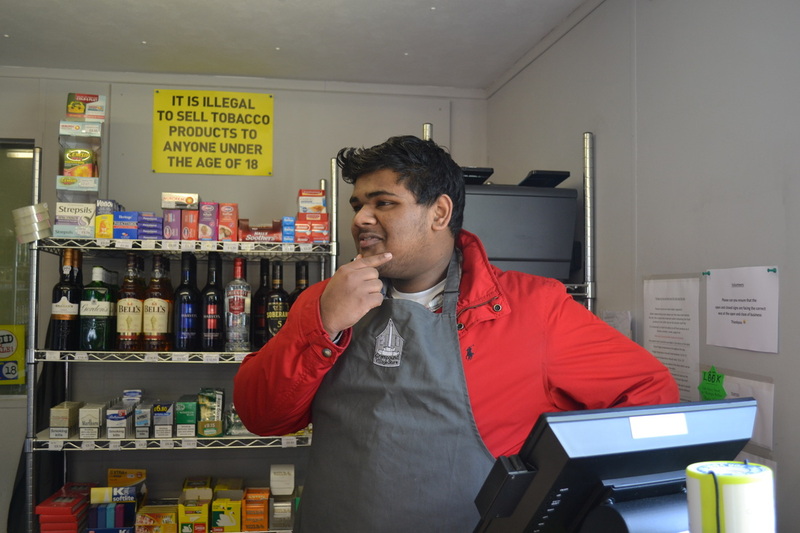 Rohin Mathew lives in Grampound is a regular volunteer on Sundays, he is still at school and is working towards the Duke of Edinburgh award. We need more volunteers like Rohin so do come along. 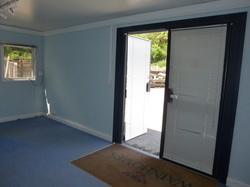 (See the captions on the photos). 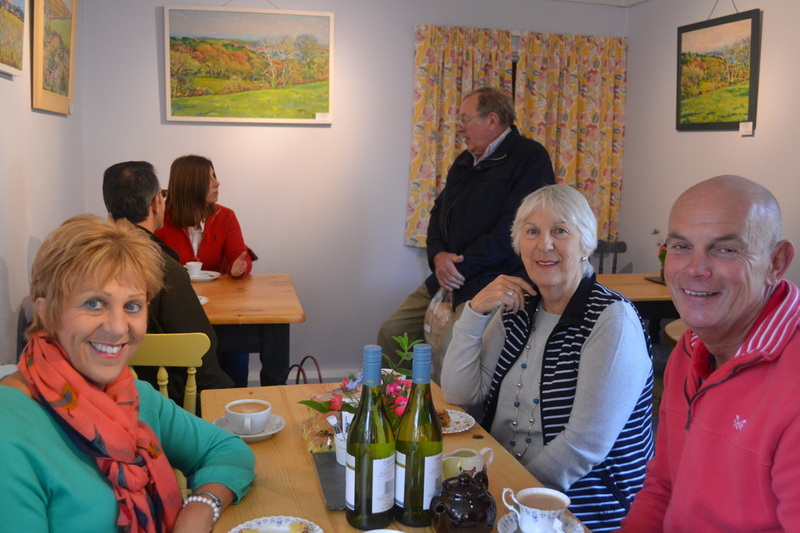 Two photographs from our lovely opening day taken by Anna, we will post many more taken by our photography students soon. 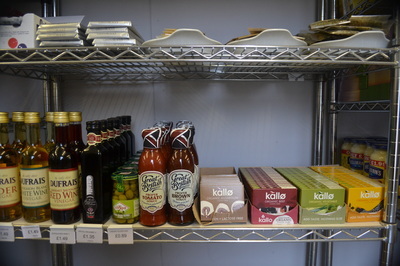 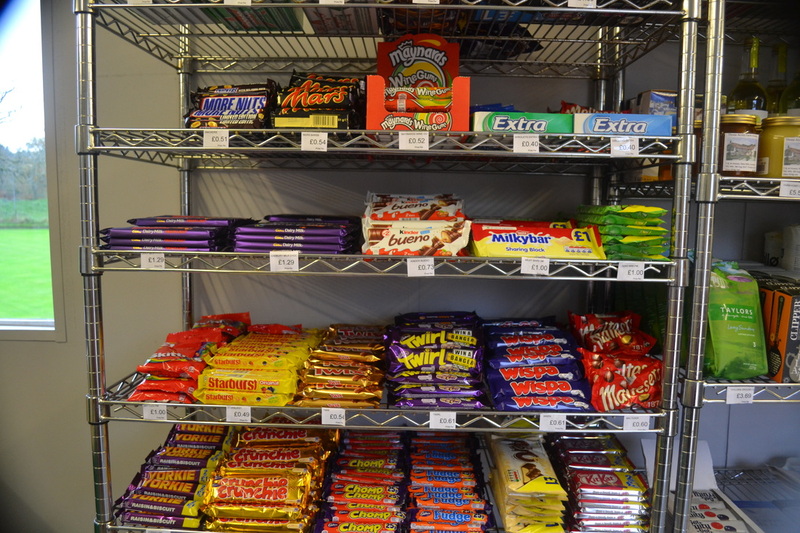 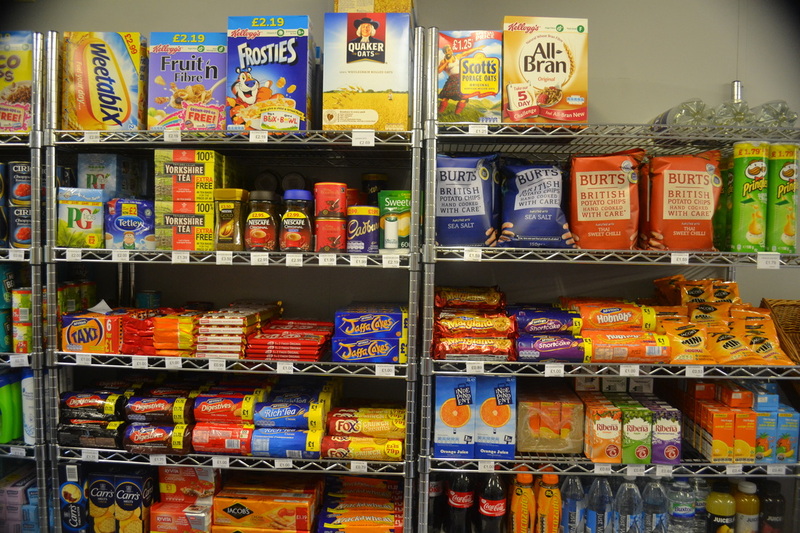 The photos below show shelves stacked with lovely things to buy and the only thing missing is our lovely customers. Come and support us to make the store and coffee shop a community and financial success. 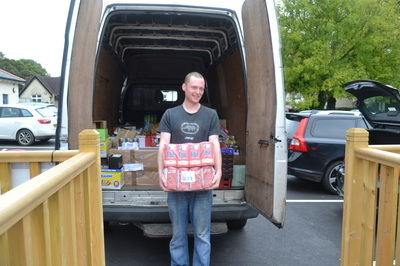 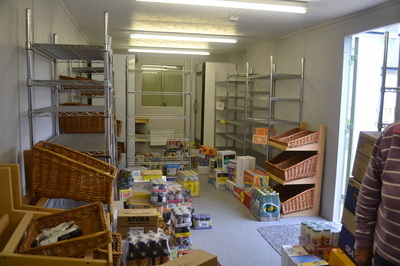 Today we took our first van load of items which includes cereals, jams, marmalades, home baking goods, savoury snacks, and many other groceries. 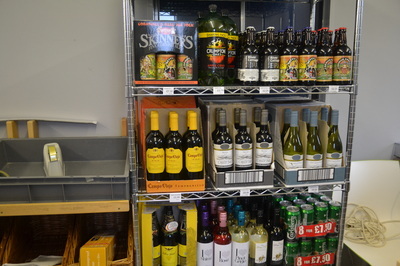 Next week the cleaning goods, medicines, alcohol and tobacco arrives oh! and did I forget to say sweets and chocolates. 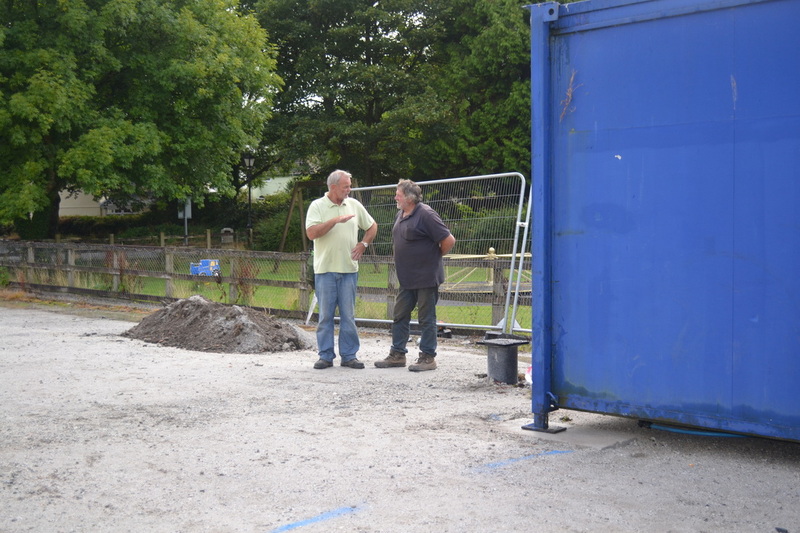 Click on the photos to see what we are up to. The Store and Coffee Shop are taking shape, this is in part thanks to £7,500 grant through Airvolution's community fund from the two wind turbines being erected at Garlenick. 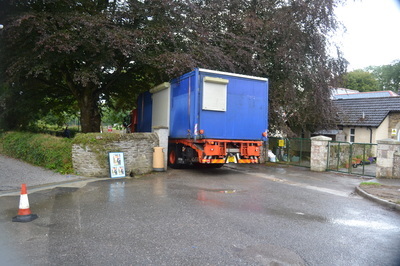 These are photos taken on 22 and 23 September (click on photos to see what is going on). 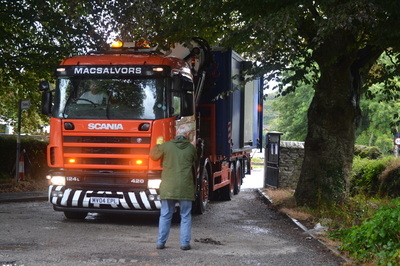 There will be a lot more photos in the days ahead so keep on logging in. 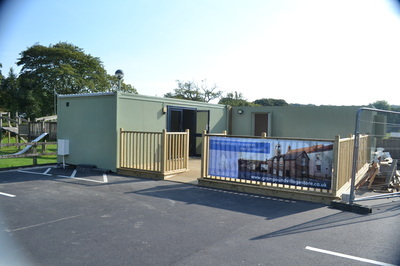 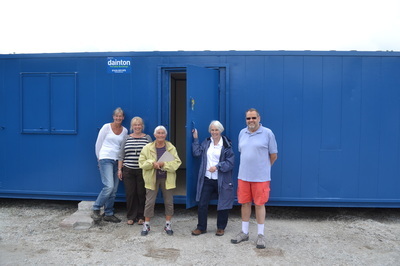 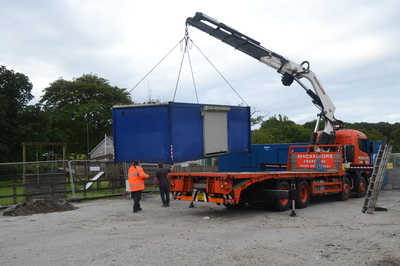 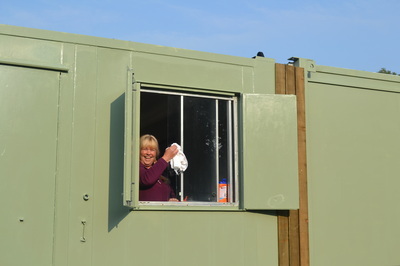 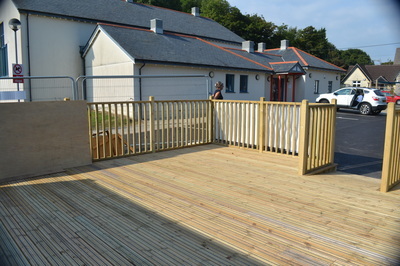 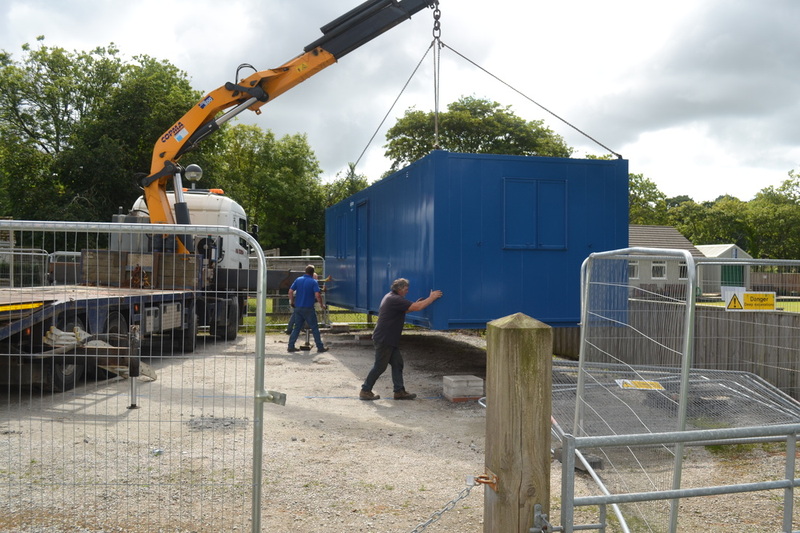 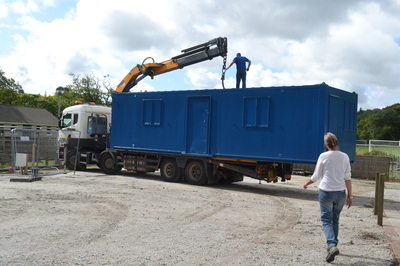 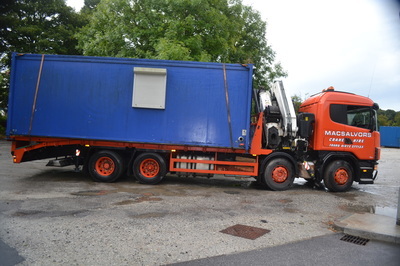 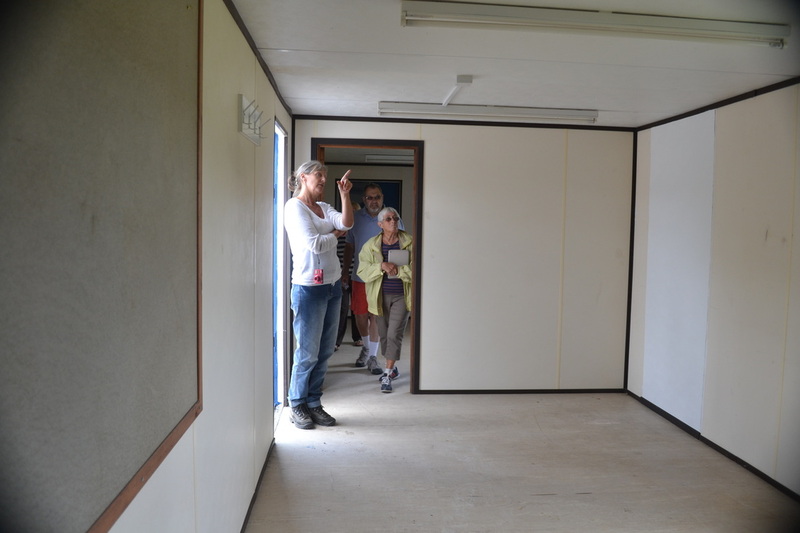 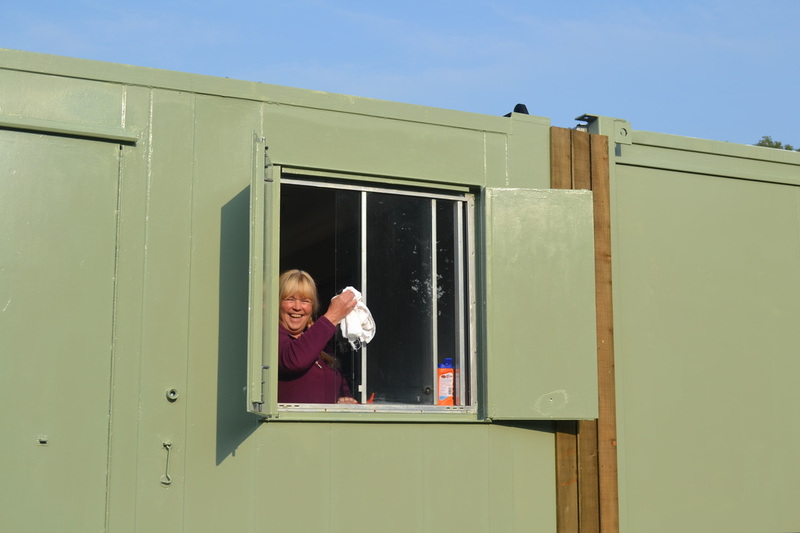 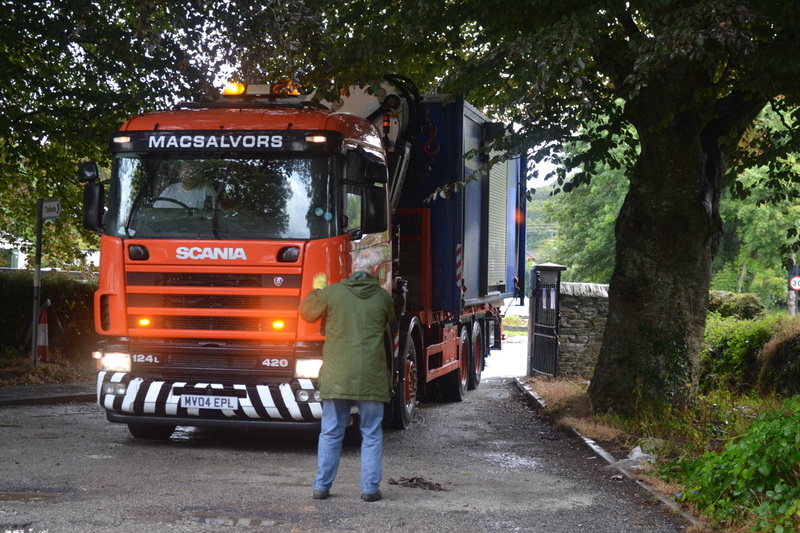 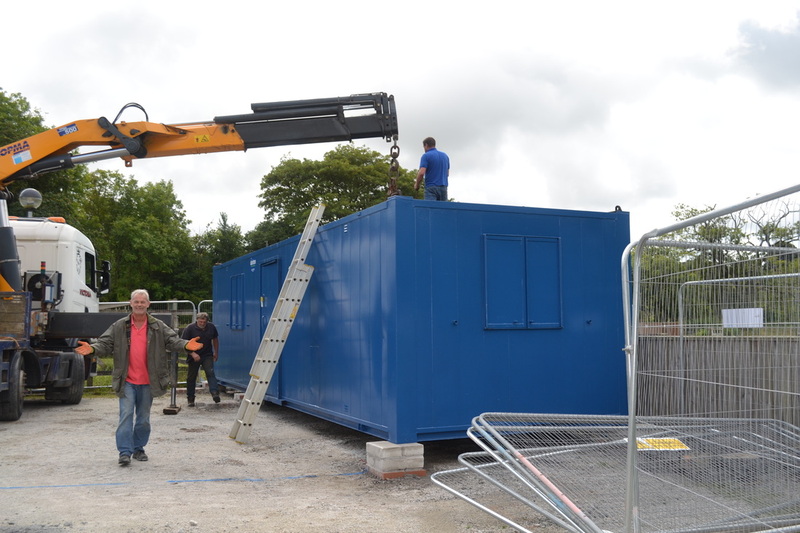 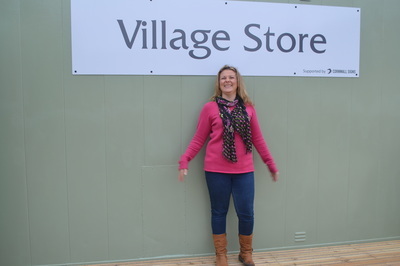 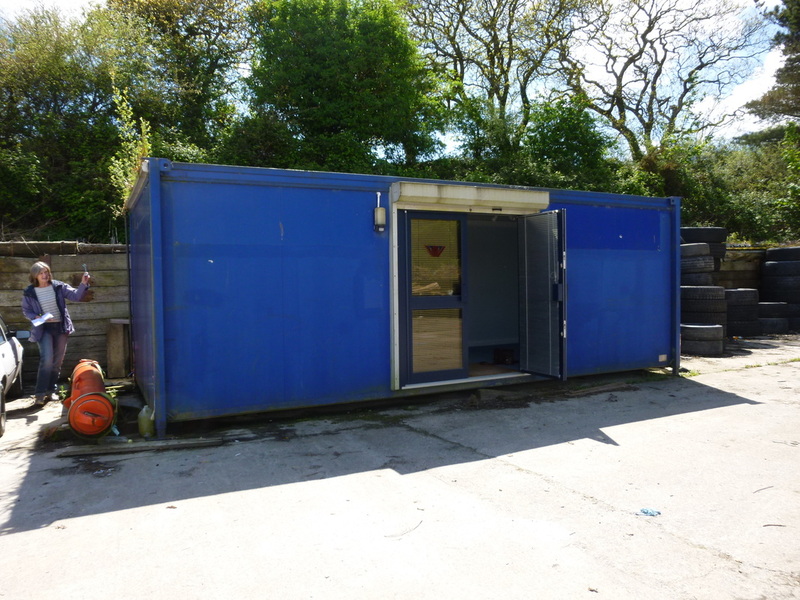 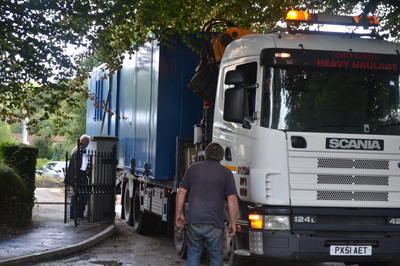 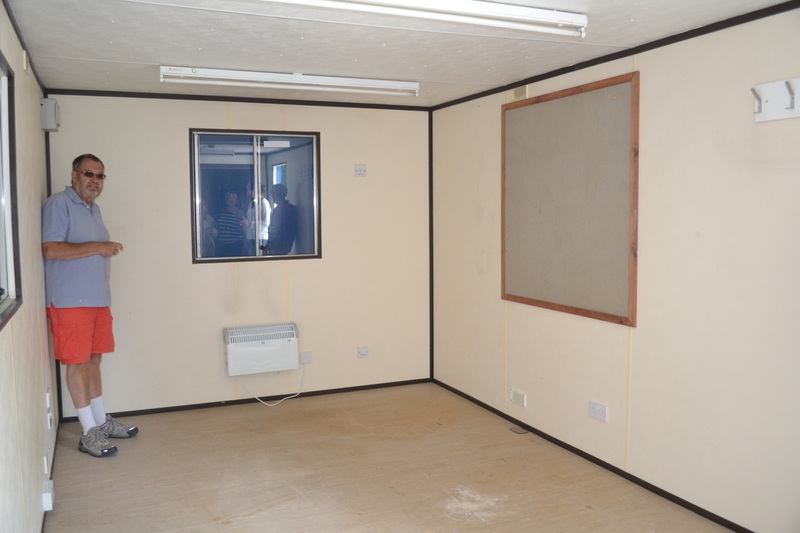 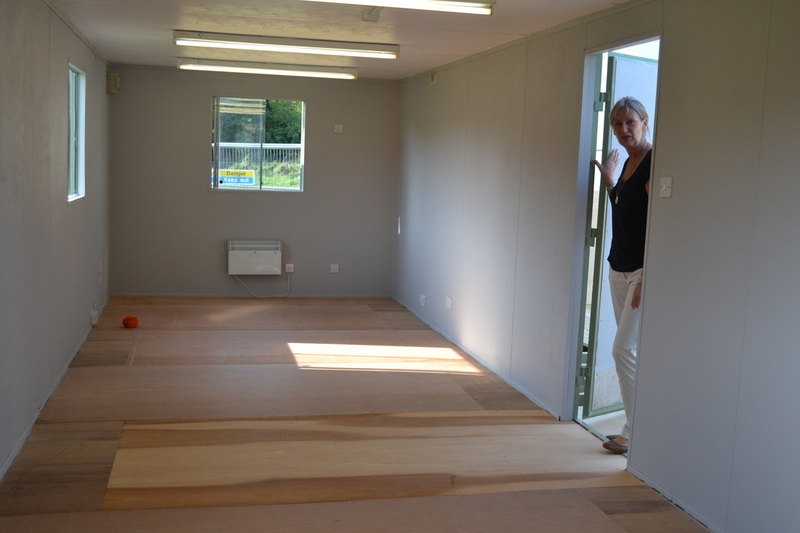 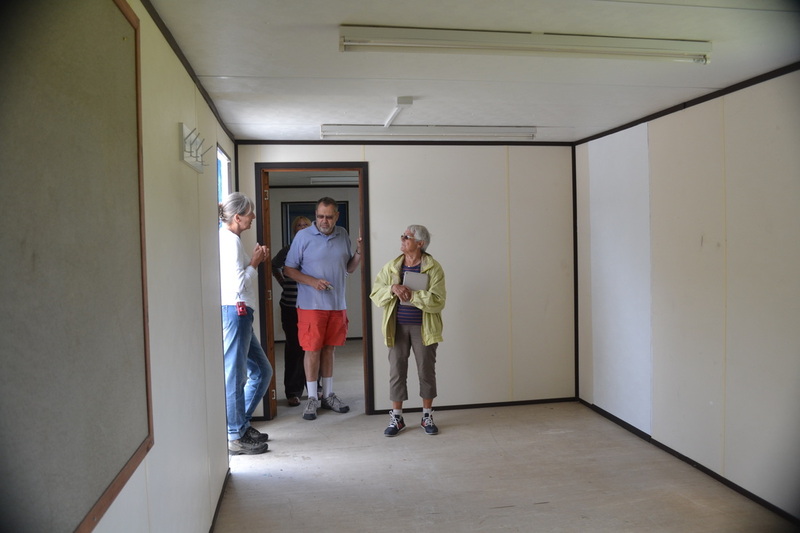 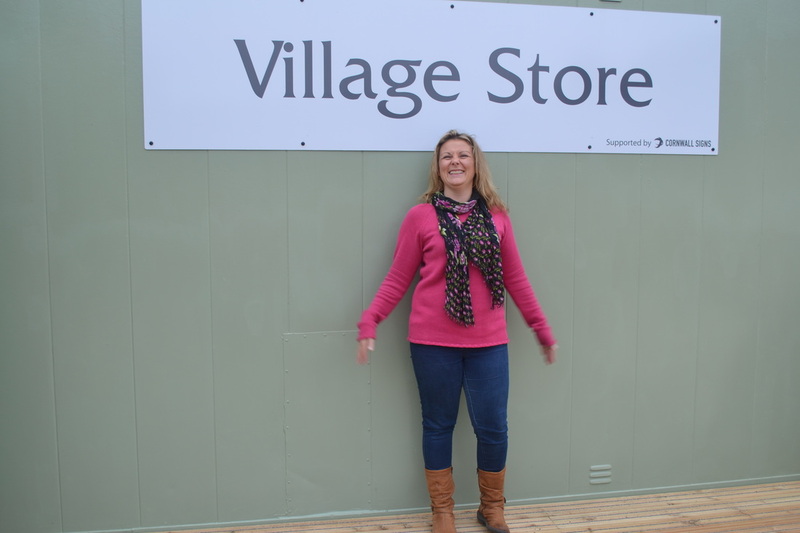 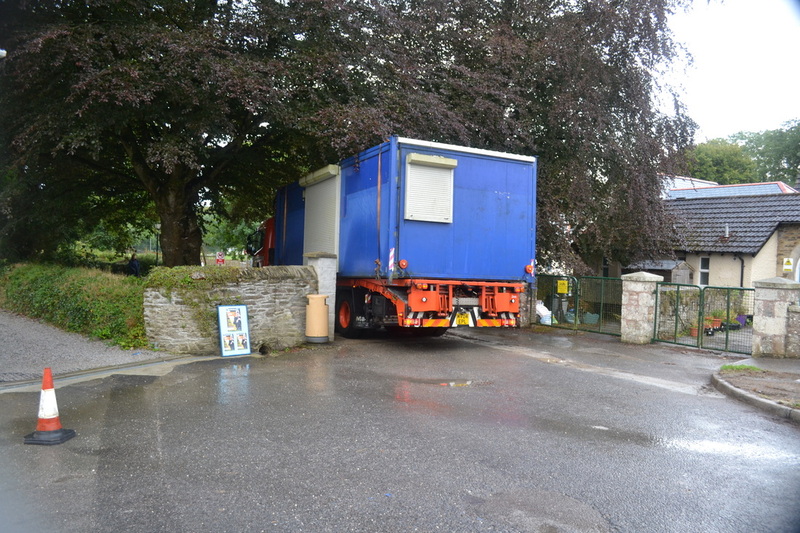 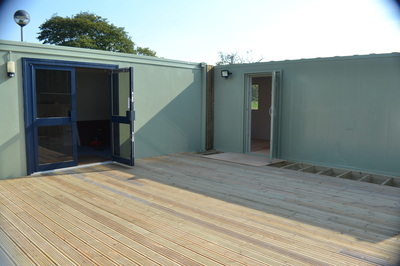 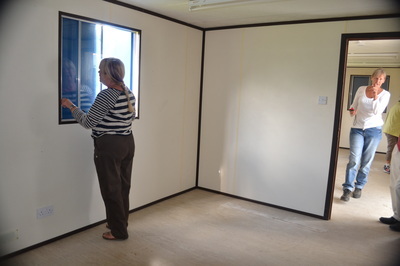 On 13th August 2014 our village store portable cabin arrives in the village hall car park. Click on each photo to see what is going on. This will be our Coffee Shop. 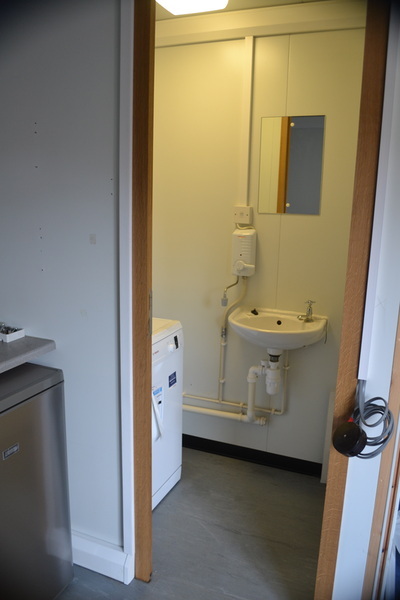 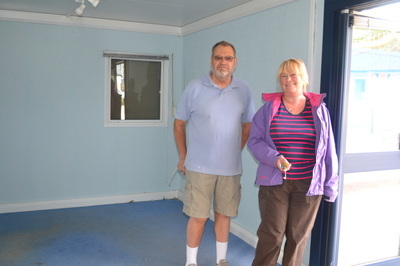 We are so lucky to be given a portable cabin by Wain Homes courtesy of Irving and Helen Bunt which we can make into a coffee shop. 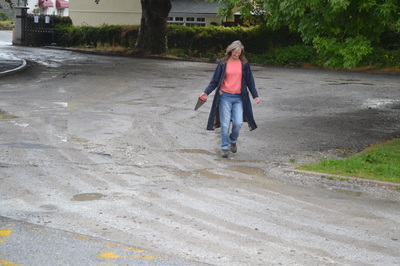 Here are some photographs taken by Alison Ryves when she, Helen, Margie Lundie and Annette Egerton visited to measure up this week. 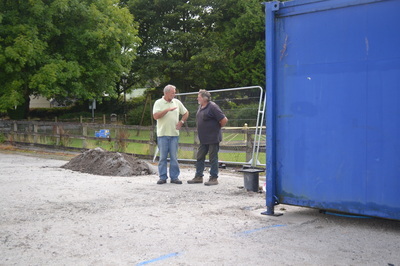 We will transform this building into a friendly, happy venue for the villagers and people passing by to enjoy. 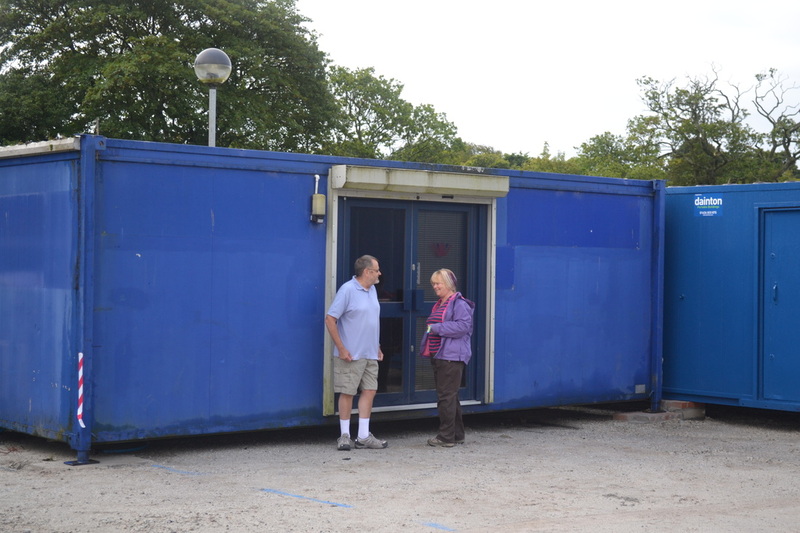 If anyone has tables, pews or cutlery and crockery which we could use we would be interested in hearing from you. 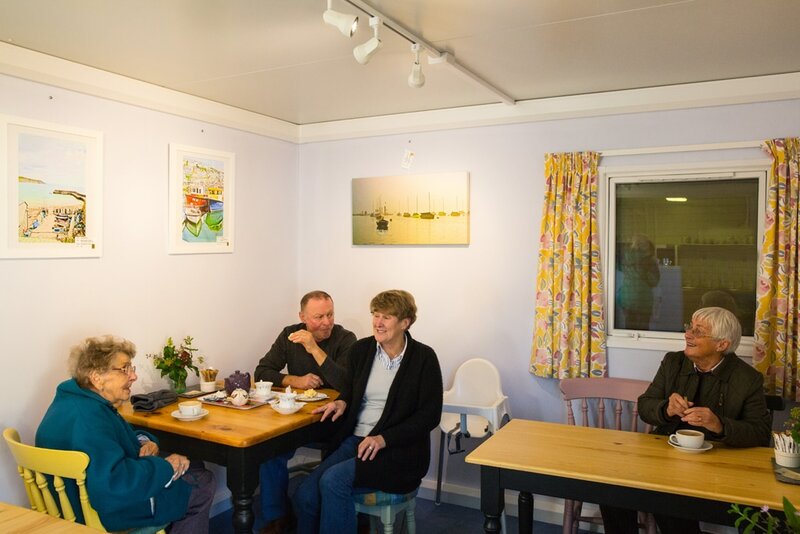 We are looking to create a funky shabby chic cafe in quite a small space and we are hoping to beg or borrow items to make it happen! 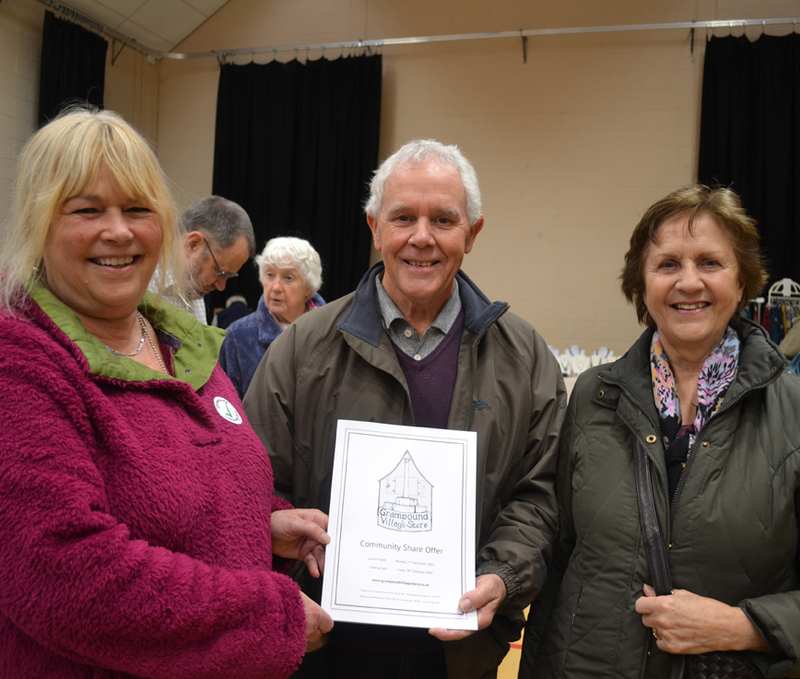 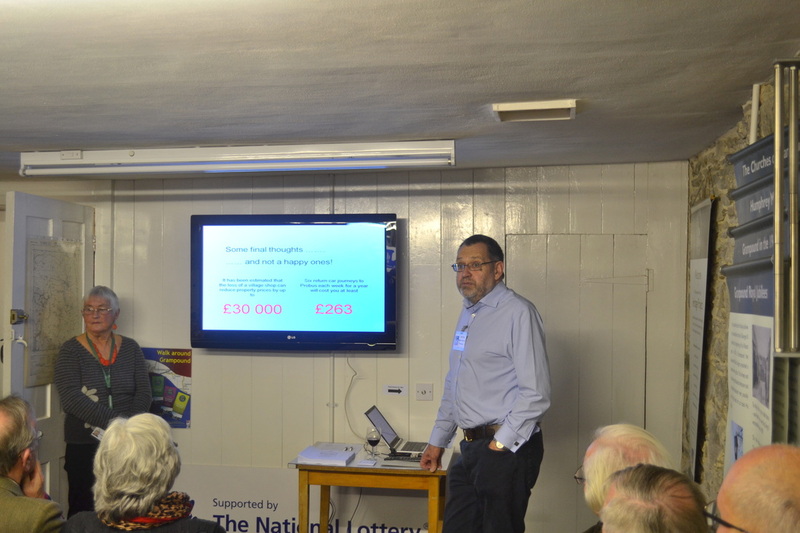 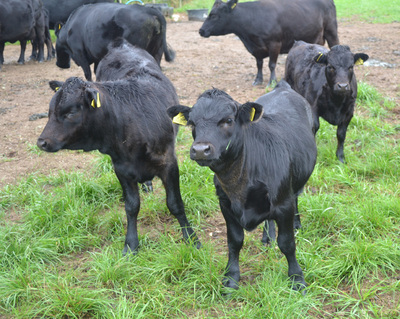 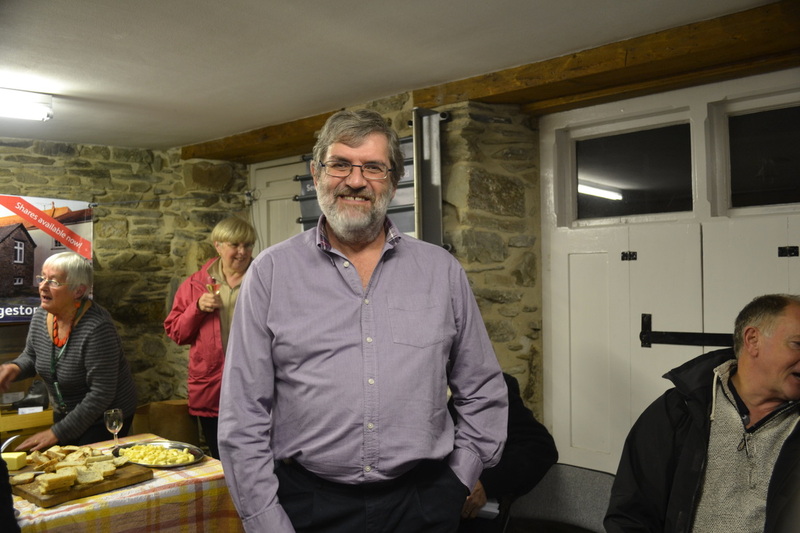 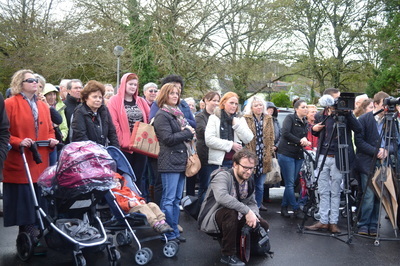 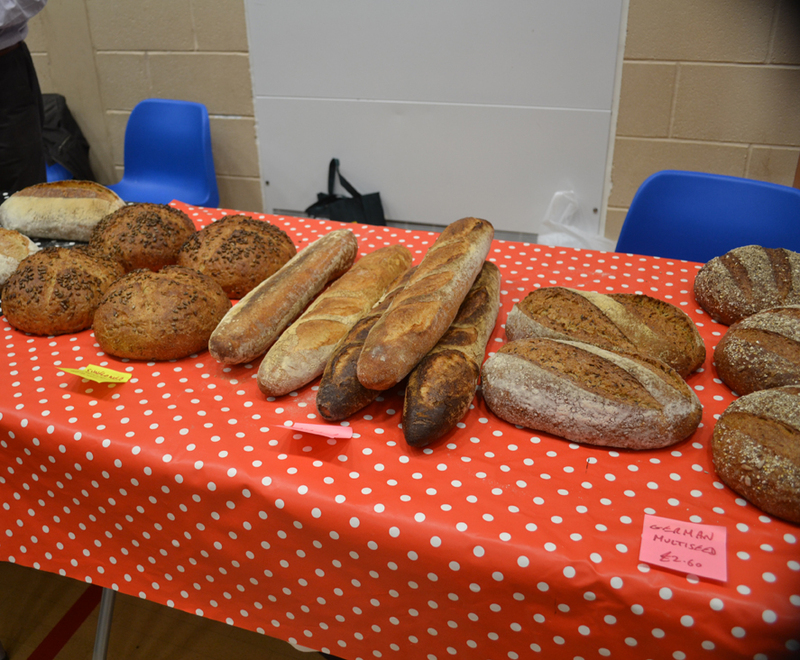 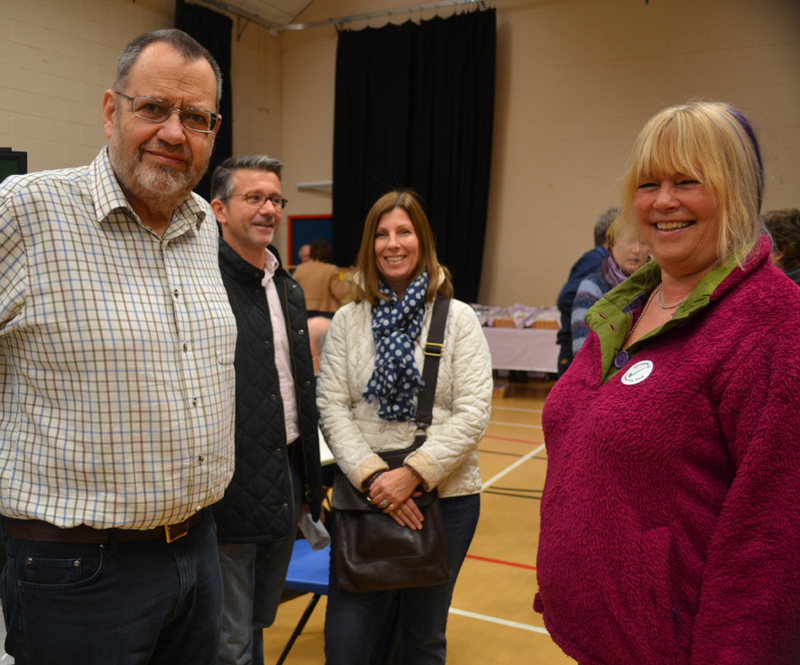 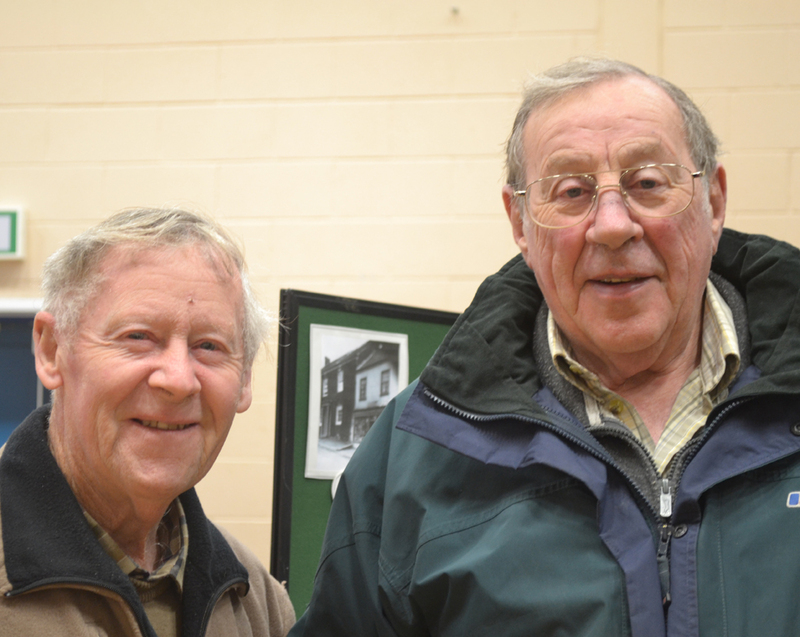 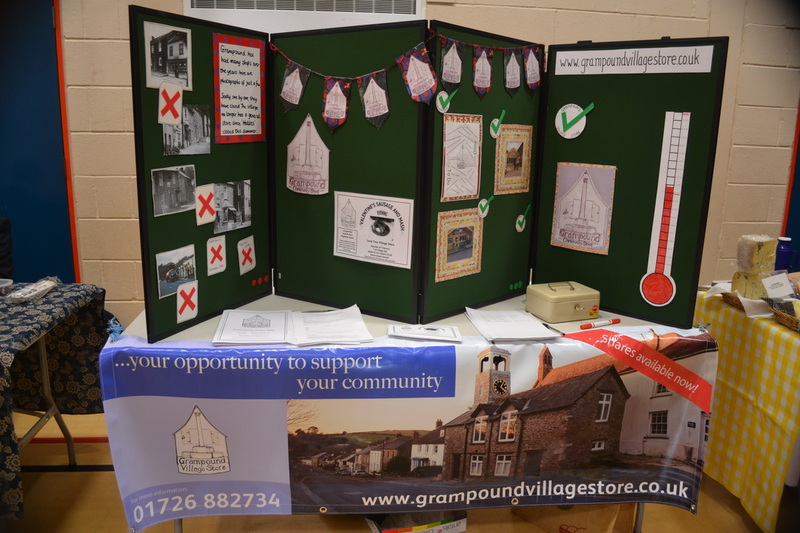 Our information evening in December 2013 was a huge success with over 70 villagers calling in.. visit our blog for more information. 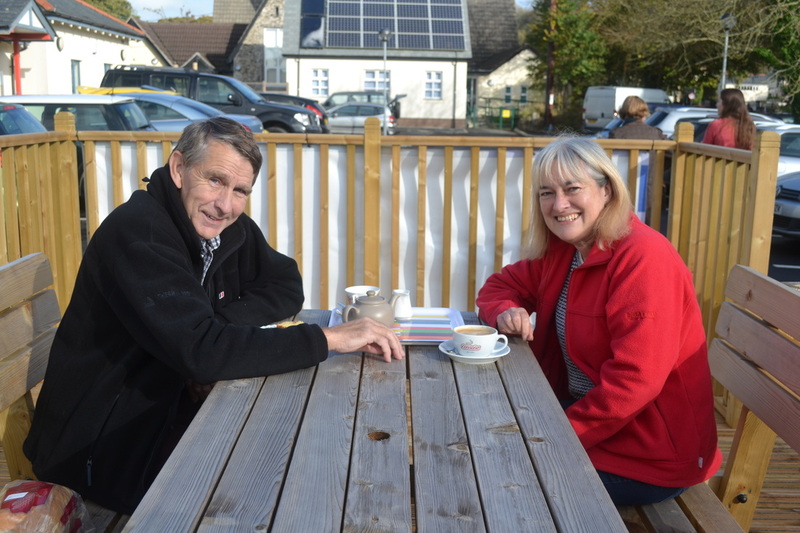 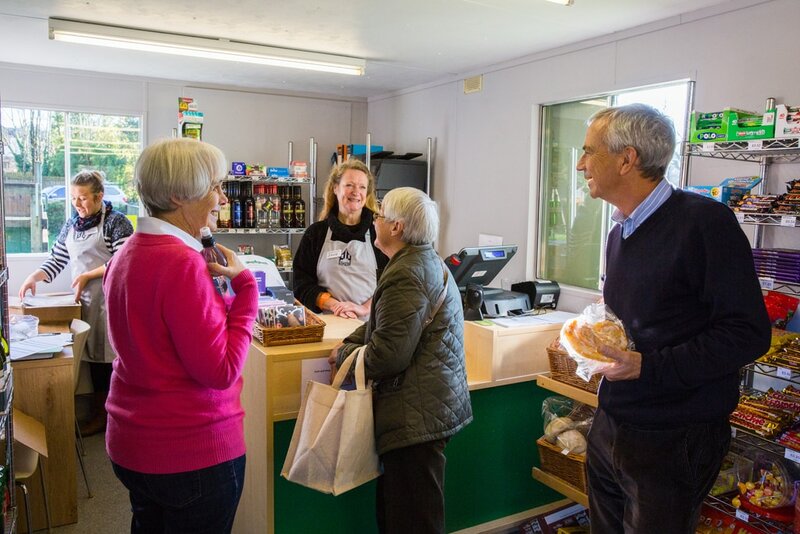 Below sees Mark Taylor pleased to be the first shareholder and Peter Wootton and Margie Lundie taking questions.Our Grampound Village Store had a presence at the Produce Market on Saturday and attracted a lot of interest from villagers as well as other visitors. 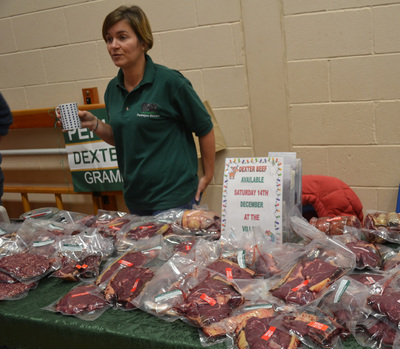 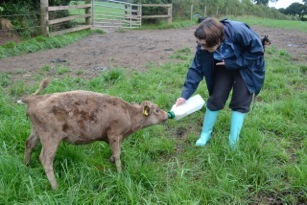 It was a busy market and another £1000 worth of shares was sold. Take a look at some photographs of the market on our blog. 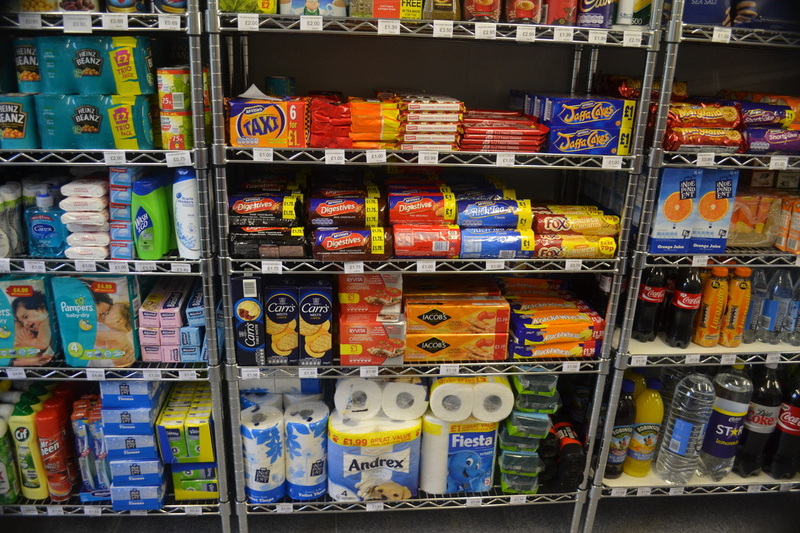 Click on the pictures to enlarge and see the captions.